The 2016 course will move to a five loop format with the start/finish area staged out of the Four Peaks Staging Area. Loop one will be 22.3 miles and include the Shallmo, Pemberton and Escondido Trails. Loops 2-5 will be identical at 19.4 miles including parts of the Cinch, Scenic, Pemberton and Shallmo Trails. Trails feature rolling single track through the Sonoran Desert. Run past giant Saguaro Cactus, granite boulders and dry wash-beds as you tour the most popular trail of McDowell Mountain Regional Park. 100 kilometer runners will compete the first three full loops of the 100 Mile course. 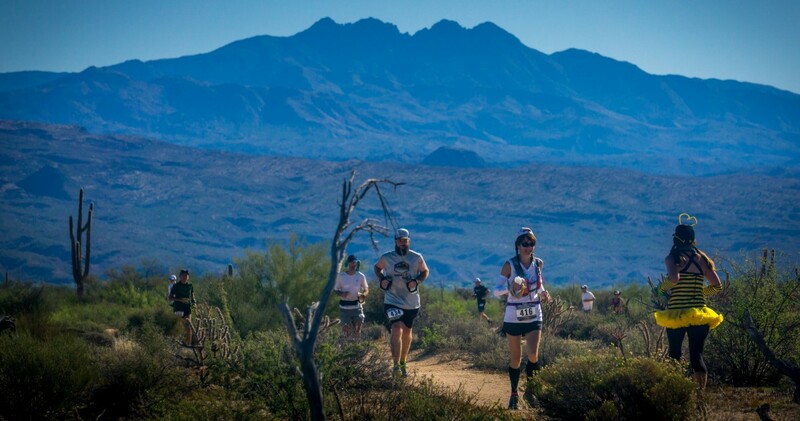 Each loop features a gentle 600 foot climb from the start/finish at Javelina Jeadquarters to the high point near the foothills of the McDowell Mountain range.